Size of this preview: 470 × 599 pixels. Other resolutions: 188 × 240 pixels | 376 × 480 pixels | 471 × 600 pixels | 602 × 768 pixels | 1,255 × 1,600 pixels. English: Studio publicity portrait of the American actress Elizabeth Taylor. Français : Portrait publicitaire pris en studio de l'actrice américaine Elizabeth Taylor. 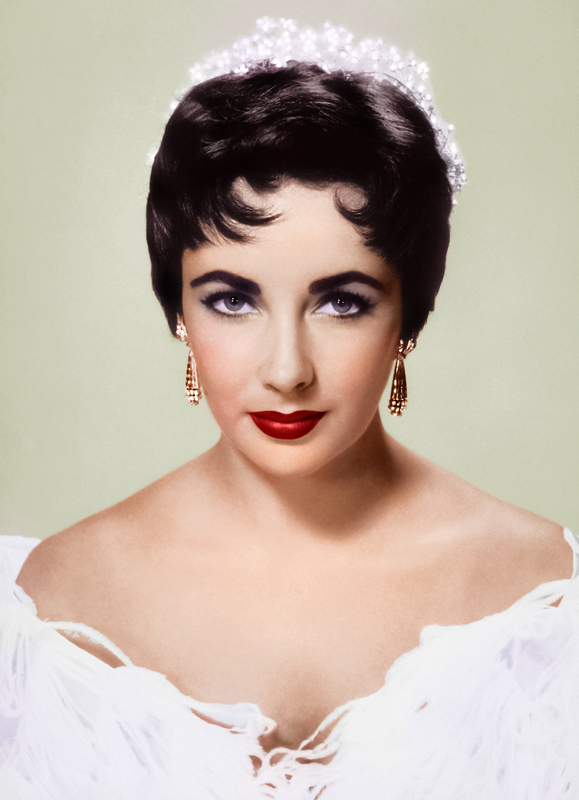 This image has been assessed under the valued image criteria and is considered the most valued image on Commons within the scope: Elizabeth Taylor. You can see its nomination here. English: This is a publicity still taken and publicly distributed to promote a film actor. "There is a vast body of photographs, including but not limited to publicity stills, that have no notice as to who may have created them." "[The conference] expressed the opinion that it is not necessary for authors to request permission to reproduce frame enlargements... [and] some trade presses that publish educational and scholarly film books also take the position that permission is not necessary for reproducing frame enlargements and publicity photographs."